For the most part, life on Earth uses the same set of nucleotides (amino acids) to form the basis of their DNA. In all, almost all known life uses 20 particular amino acids. These are often classified by their bases as A (adenine), C (cytosine), G (guanine) and T (thymine). These are the basic building blocks of DNA. They are also used to build proteins. Of course, from a certain point of view, DNA is just a really long protein. How DNA uses these amino acids is described by Paul Davies in his article Are Aliens among Us? published in Scientific American, Dec 2007. He states, "The genetic code is based on triplets of nucleotides, with different triplets spelling out the names of different amino acids. The sequence of triples in a gene dictates the sequence of amino acids that must be strung together to build a particular protein." Alien lifeforms may use exotic amino acids that are far different than the ones used by life on Earth. 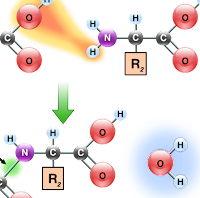 It is possible that the set of amino acids we use may not even appear on other worlds. Evidence by scientific study suggests that there are many other forms of amino acids that may be useful (or at least available) for other types of life. Evidence of exotic amino acids on other worlds has come from meteorites. Also, others have been synthesized in the lab. Other lifeforms from other worlds may be completely different from us while still using the same basic DNA structure we use. A question remains, would life formed by exotic amino acids be all that much different than Terran life in appearance? Would the exotic amino acids lead life to evolve along completely different paths that we as yet have not conceived? Water dependent and carbon based. Chemosynthetic (chemical based energy synthesis) or photosynthetic (light energy synthesis). Heterotrophic and predators of heterotrophs (food chain of lifeforms). Passively or actively mobile to seek out optimum conditions. As such, body plans will evolve something similar to what we would identify as a head, with arrays of sensory organs. Sessile (non-mobile or anchored in place). Powered flight (birds, some insects, bats, pterosaurs), or at least directed gliding (flying squirrel, flying fish). Parasites , which on Earth account for over 65% of the total number of species. Genes will be selfish , and natural selection will spawn adaption to the environment. Will have senses , especially sight, sound, touch, heat detection, etc. Motile , organisms will have natural attraction and repulsion to stimuli. Large bodies of water will foster a wide variety of lifeforms, which may independently evolution similar adaptions. The list seems a little incomplete and maybe not well organized. It is a good starting point in the discussion of what we can expect to find on other worlds. It can help us in knowing where to look, as well. Perhaps this list is formed from human prejudice. However, with only Earth as our example, this (at least for the time being) seems to be a fair set of predictions. On Earth, life uses what is called right-handed DNA. Right-handed DNA uses left-handed amino acids, sometimes described as homochiral. The fact that all lifeforms on Earth use Right-handed DNA suggests that all life here is descendant from a common group of ancestors. Why does the difference matter? If single cell members of mirror life (with left-handed DNA) are placed in a nutrient broth consisting of only left-handed amino acids, the lifeforms will not be able to thrive. The same is true of the reverse. Mirror life is a type of lifeform that uses the same type of DNA structure, but where the DNA is left-handed. This type of life, in turn, used right-handed amino acids. The possibly that life on other worlds may be mirror life is very exciting. If found, it would lend tremendous evidence that life is possible in other forms as well. SETI, whose job it is to find proof of alien civilizations, has yet to find any alien civilizations. The methods employed by SETI has so far focused on trying to receive messages via the EM spectrum for alien communication . So far, SETI has been looking for messages from other alien civilizations in the form of "Anybody out there?" However, it may soon be looking for any signs of other alien civilizations by attempting "to eavesdrop on stray signs of intelligence leaked accidentally into space by other civilizations", says Steve Nadis in his Astronomy article titled Eavesdropping on E.T. : Could Changing Channels Tune Into Alien Civilizations?. There is a quiet zone in the EM spectrum between 1 and 10 GHz. Fewer objects in the universe naturally transmit in that frequency range. If other alien civilizations know this, they may choose to intentionally transmit signals at that level. 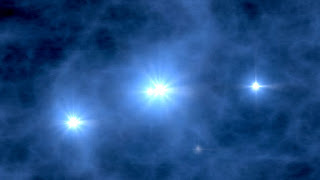 However, it may be easier to look for signals that alien civilizations naturally put out. The problem is that there is so much background noise at other frequencies, both from the Universe and Earth itself (our own civilization). Some scientists hope that a new radio-telescope coming on line in Australia called Murchison Wide-Field Array (MWA) will allow them to find anomalies that may be leaked transmissions of other alien civilizations. Though MWA is really meant to study the end of the Universe's Dark Ages (when stars began to form), it will also be able to find transient signals that may be signs that something else is out there. 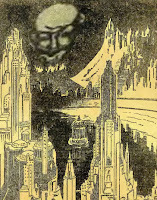 Earth has been broadcasting its presence since the 1920's. Maybe another civilization has been doing the same for much longer? We will soon see. 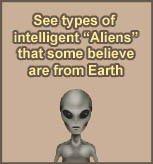 A popular Sci-Fi topic is alternative forms of life. A common idea is that life could be based on silicon instead of carbon. The idea is based on the fact that silicon has valence number of four. This means that silicon atoms can be arranged in rings and in long chains that may be useful to create structures upon which biological molecules could be built. However, there are many drawbacks that must be overcome for life to efficiently use silicon as its basis. Silicon based lifeforms would not have organic molecules used within Terran life. DNA would not be the basis for such life. However, the silicon based molecules may not be stable without an added level of complexity because silicon has a larger atomic radius and mass than carbon. It also has more difficulty forming stable molecules, particularly where water is present. Even still, it is a possibility. For some reason, many Sci-Fi depictions show silicon based life as being rocklike in appearance. I'm not sure where this idea comes from. It's a bit like assuming carbon based lifeforms look like a lump of coal. I have a feeling that if we do discover silicon based lifeforms, they may resemble us more than many expect. What if the basic molecules of life where completely different? Life on Earth needs water, carbon, nitrogen, hydrogen, oxygen, and phosphorous. This last one is of particular interest. Phosphorous is not particularly abundant on Earth. Yet Terran life needs the element. A similar element that could replace phosphorous is arsenic. Of course, arsenic is poisonous to us. This is because it is so similar to phosphorous. It may be possible that life could have evolved on other worlds to use arsenic instead of phosphorous. This is because arsenic can do everything that phosphorous does (in the way of structural bonding and energy storage). It could also be used to drive metabolism. On such a world, phosphorous would be the poison because it would interfere with those functions, much as arsenic interferes with the functions of phosphorous in life on Earth. Is it possible for lifeforms to be poisonous to each other because of their basic chemistry? Would it be dangerous for arsenic based lifeforms and phosphorous-based lifeforms to simply touch each other or even to life in the same space? What are the odds of Humaniods evolving again? Humans take human-level intelligence for granted. So much so, that our humanoid form seems to prevail any of our notions of intelligent life on other worlds. 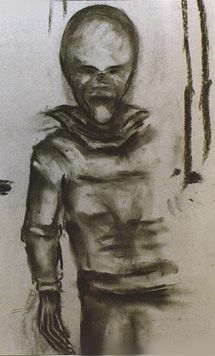 Images of Greys, EBENs and other aliens have the same general plane symmetry body plan as us, with two arms, legs, a torso, a head, symmetric features, two eyes, mouth, nose holes, brain, etc. But what are the chances of life evolving in this way again, either on another world or evolving again here on Earth after humans are gone? The major problem with this is that life goes through a great number of changes as it evolves over time. At each point, a very specific set of criteria sets the stage for what is eventual deemed successful adaption and what comes to the end of the line. Given what little we know right now, it seems unlikely that changes at each step will follow the same path twice in different ecosystems and different worlds. Sure, we do have convergent evolution, where multiple species evolve the same abilities in separate epochs and ecosystems. But is human-level intelligence something that will happen naturally again? Is having two legs, two arm, a face, etc, something that happens naturally as a matter functionality? Could there be intelligence as advanced as ours, but in a completely different form? We don't know anything concrete regarding evolution of life on the cosmic scale. For years it was assumed that the form of our Solar System was common, and that is what makes life elsewhere likely. We exist; there's nothing special about us; therefore life like us exists elsewhere. This is a bit silly since we have no data to support that. In fact, when we started finding planets in other star systems, the Solar System model proved to be quite unusual. Maybe our understanding of evolution is still incomplete at the cosmic scale. Maybe traits we see in Terran life are common on other worlds simply because these adaptions are the most successful in general, regardless of specific ecosystems that may exist. Before people start declaring this or that is unlikely, let's collect data and find out. Start sending probes to other star systems and poke about. The probes will take a long time to get where they're going, but so what. Unless we humans kill ourselves off (or nature does it for us), our posterity should be around to receive the results of our efforts, so that they can figure this out with actual evidence, instead of relying on unscientific guesses (see Drake's Equation). It has been sited by physicists that while photosynthesis on Earth generally involves green plants, a variety of plants of alternative colors may also utilize photosynthesis. The other colors might be preferred in places that receive a different mix of solar radiation than that received on Earth. Plants on Earth are green because they contain chlorophyll. The chlorophyll is green because it absorbs mainly blue and red light in order to produce food for the plant via photosynthesis, while reflecting the green light frequency. 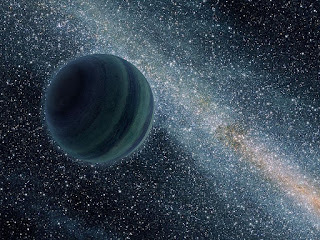 Scientists at NASA point out that if the stars for other planets were in a different state than our sun and if the light frequency that reached the planets' surface was different, then the plants would have also evolved a different type of photosynthetic pigment (other than chlorophyll). This pigment would be dedicated towards the different light frequencies received by the planet. This would cause plants to appear a different color from green, such as red and yellow. 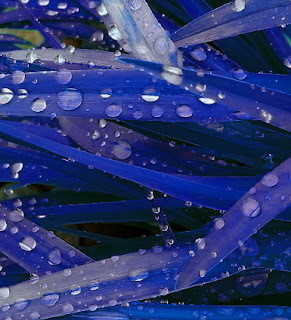 According to recent studies, no photosynthetic plants would be blue-colored. This is because blue light provides some of the highest photosynthetic yields in the light spectrum. It is important for blue light to be absorbed rather than reflected. This is based on the physical quality of different frequencies of light produced by known types of stars. One terrestrial example of energy conversion based on something other than ordinary light involves radiotrophic fungi that convert high energy gamma rays into useful energy using the melanin. (In most organisms melanin is used to protect the organism against ultraviolet and solar radiation.) Even still, ordinarily fungi derive their energy from decomposing other biomass, rather than by converting radiation into energy for itself. It could even be possible for photosynthesis to occur using infrared light. In such an environment, plants may actually appear black. It is fascinating to image the variations of life that are possible, even if life is based on the same fundamentals as our own. A question I've asked myself is that what if the beings we call aliens (visitors from other planets) are really not aliens at all, but inhabitants of our own planet. There are several ways for this to be true. The idea of ultraterrestrials and metaterrestrials is not new. However, there , is one more possibility that seems just as likely from a particular perspective. There is a possibility that we are being visited by beings from the future. This is based on two assumptions. First, the human species will continue to evolve throughout time. Second, time travel is a technology that we will eventually obtain. If these two assumptions are true, then the most likely source of "alien" encounters is actually future evolved human-descended visitors that come back in time to observe their primitive past. They would come back to study us or to see us out of curiosity. 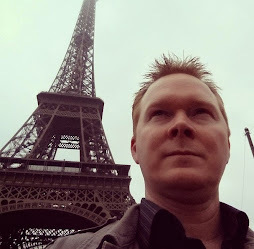 This would be that two major class of visitations would occur: site-seeing and scientific, or tourists and scientists. Almost on a lark to describe this possibility, I coined the term Future Evolved Terrestrial Tourists and Scientists (FETTS). This would mean that some beings either come back to observe ancients times much in the same way we visit the pyramids or other ancients sites. In fact, there are stories that every president of the U.S. in modern times has seen U.F.O. 's at some point in their life. President Carter himself is even on the record as being a person who has seen one. This also means that some other beings comes back to experiment on their primitive ancestors, much in the same way that we modern humans experiment on great apes, including climps. This explanation is actually more likely than others if time travel proves to be easier than space travel. According to current understanding of the Universe, there is no reason as to why time travel shouldn't be allowed; though General Relativity does demonstrate that faster-than-light travel impossible. With this fact, assuming visitations from beyond are real, it seems most likely that these visitations are from our own world.